The Mossad (Hebrew: הַמוֹסָד‎, IPA: ; Arabic: الموساد‎, al-Mōsād; literally meaning "the Institute"), short for HaMossad leModiʿin uleTafkidim Meyuḥadim (Hebrew: המוסד למודיעין ולתפקידים מיוחדים‎, meaning "Institute for Intelligence and Special Operations"; Arabic: الموساد للاستخبارات والمهام الخاصة‎ al-Mōsād lil-Istikhbārāt wal-Mahāmm al-Khāṣṣah), is the national intelligence agency of Israel. It is one of the main entities in the Israeli Intelligence Community, along with Aman (military intelligence) and Shin Bet (internal security). The largest department of the Mossad is Collections, tasked with many aspects of conducting espionage overseas. Employees in the Collections Department operate under a variety of covers, including diplomatic and unofficial. The Political Action and Liaison Department is responsible for working with allied foreign intelligence services, and nations that have no normal diplomatic relations with Israel. Additionally, the Mossad has a Research Department, tasked with intelligence production, and a Technology Department concerned with the development of tools for Mossad activities. Mossad was formed on December 13, 1949, as the "Central Institute for Coordination" at the recommendation of Prime Minister Hebrew: בתחבולות תעשה לך מלחמה‎) is a quote from the Bible (Proverbs 24:6): "For by wise guidance you can wage your war" (NRSV). The motto was later changed to another Proverbs passage: be-'éyn tachbūlōt yippol `ām; ū-teshū`āh be-rov yō'éts (Hebrew: באין תחבולות יפול עם, ותשועה ברוב יועץ‎, Proverbs 11:14). This is translated by NRSV as: "Where there is no guidance, a nation falls, but in an abundance of counselors there is safety." The Israeli intelligence community." The unit only recruits from "former soldiers from the elite IDF special force units." In 1960, the Mossad discovered that the Nazi leader Adolf Eichmann was in Argentina. A team of five Mossad agents led by Shimon Ben Aharon slipped into Argentina and through surveillance, confirmed that he had been living there under the name of Ricardo Klement. He was abducted on May 11, 1960 and taken to a hideout. He was subsequently smuggled to Israel, where he was tried and executed. Argentina protested what it considered as the violation of its sovereignty, and the United Nations Security Council noted that "repetition of acts such as [this] would involve a breach of the principles upon which international order is founded, creating an atmosphere of insecurity and distrust incompatible with the preservation of peace" while also acknowledging that "Eichmann should be brought to appropriate justice for the crimes of which he is accused" and that "this resolution should in no way be interpreted as condoning the odious crimes of which Eichmann is accused." Mossad abandoned a second operation, intended to capture Josef Mengele. During the 1990s, the Mossad discovered a Hezbollah agent operating within the United States in order to procure materials needed to manufacture IEDs and other weapons. In a joint operation with U.S. intelligence, the agent was kept under surveillance in hopes that he would betray more Hezbollah operatives, but was eventually arrested. The Mossad informed the FBI and CIA in August 2001 that based on its intelligence as many as 200 terrorists were slipping into the United States and planning "a major assault on the United States." The Israeli intelligence agency cautioned the FBI that it had picked up indications of a "large-scale target" in the United States and that Americans would be "very vulnerable." However, "It is not known whether U.S. authorities thought the warning to be credible, or whether it contained enough details to allow counter-terrorism teams to come up with a response," A month later, terrorists struck at the World Trade Center and the Pentagon. Mossad assassinated Latvian Nazi collaborator Herberts Cukurs in 1965. The Mossad gathered information on Austrian politician Jörg Haider using a mole. The Mossad is alleged to be responsible for the killing of Canadian engineer and ballistics expert Gerald Bull on March 22, 1990. He was shot multiple times in the head outside his Brussels apartment. Bull was at the time working for Iraq on the Project Babylon supergun. Others, including Bull's son, believe that the Mossad is taking credit for an act they did not commit to scare off others who may try to help enemy regimes. The alternative theory is that Bull was killed by the CIA. Iraq and Iran are also candidates for suspicion. Assisted in air and overland evacuations of Bosnian Jews from war-torn Sarajevo to Israel in 1992 and 1993. The killing of Hussein Al Bashir in Nicosia, Cyprus, in 1973 in relation to the Munich massacre. Cherbourg Project - Operation Noa, the 1969 smuggling of five Sa'ar 3-class missile boats out of Cherbourg. The alleged killing of Zuheir Mohsen, a pro-Syrian member of the PLO in 1979. The alleged killing of Atef Bseiso, a top intelligence officer of the PLO in Paris in 1992. French police believe that a team of assassins followed Atef Bseiso from Berlin, where that first team connected with another team to close in on him in front of a Left Bank hotel, where he received three head-shots at point blank range. The killing of Yehia El-Mashad, the head of the Iraq nuclear weapons program, in 1980. The killing of Dr. Mahmoud Hamshari, coordinator of the Munich massacre, with an exploding telephone in his Paris apartment in 1972. The killing of Dr. Basil Al-Kubaissi, who was involved in the Munich massacre, in Paris in 1973. The killing of Mohammad Boudia, member of the PFLP, in Paris in 1973. Bar-Zohar, Michael and Mishal, Nissim. Mossad: The Great Operations of Israel`s Secret Service. The Robson Press, 2012. ISBN 978-1-84954-368-2. Raviv, Dan and Melman, Yossi. Spies Against Armageddon: Inside Israel's Secret Wars. Sea Cliff: Levant Books, 2012. ISBN 978-0985437831. ^ a b Mossad profile, Global Security. Retrieved October 28, 2006. ^ the Mossad profile, Federation of American Scientists. Retrieved October 28, 2006. ^ "Israel's new head of Mossad". Liveshots.blogs.foxnews.com. November 29, 2010. Retrieved December 4, 2011. ^ """Security Council Resolution 138, "Question Relating to the Case of Adolf Eichmann. UN. Retrieved December 4, 2011. ^ Posner, Gerald L.; John Ware. "How Nazi war criminal Josef Mengele cheated justice for 34 years". Chicago Tribune Magazine. May 18, 1986. ^ a b Officials Told of ‘Major Assault’ Plans. ^ "UK: Israel behind passport forgery in Dubai killing". CNN. March 23, 2010. Retrieved December 4, 2011. ^ "Simon Wiesenthal Center". Wiesenthal. Retrieved December 4, 2011. ^ Boyes, Roger (June 2, 2005). "Mossad spied on farright Austrian". The Times (London). ^ "Murdered by the Mossad?" (asf). ^ Frum, Barbara (April 5, 1990). "Who killed Gerald Bull? (Video) – CBC". Canadian Broadcasting Corporation. Retrieved July 15, 2009. ^ a b c d e f Israeli “Hits” On Terrorists, Jewish Virtual Library, last updated December 18, 2007. Retrieved December 24, 2007. ^ "FRANCE PROTESTS TO ISRAEL ON RAID", The New York Times, June 10, 1981. Retrieved November 16, 2006. ^ Benjamin Beit-Hallahmi (1987) The Israeli connection, I.B.Tauris, p. 46. ^ Henley, Jon (March 3, 2001). "French court strikes blow against fugitive Nazi". The Guardian. Retrieved October 27, 2006. ^ "Israel used chocs to poison Palestinian". SMH. 8 May 2008. Retrieved 27 February 2013. ^ Black, Ian (15 June 2010). "Ireland orders Israeli diplomat out of embassy over forged passports". The Guardian. Retrieved 10 May 2014. ^ "Mossad and the Irish connection". Irish Independent. 1 December 2012. Retrieved 10 May 2014. ^ "Secret army squad keeps watch on 60 Al Qaeda in Ireland". Irish Daily Star. 26 March 2013. Retrieved 30 May 2014. ^ O'Hanlon, Ray (16 February 2011). "Inside File The Mossad’s long arm". Irish Echo. Retrieved 19 May 2014. ^ "Gideon's Spies: The Secret History of the Mossad". 2013. Rulit.net. Retrieved 19 May 2014. ^ Johnson, Ken (February 13, 2009). "Material for a Palestinian’s Life and Death". The New York Times. Retrieved December 4, 2011. ^ An Eye for an Eye", Bob Simon""". CBS News. November 20, 2011. Retrieved December 4, 2011. ^ "Resources". Military. Retrieved December 4, 2011. ^ "Israelis to Compensate Family of Slain Waiter". New York Times. January 28, 1996. Retrieved December 4, 2011. ^ "TERRORISM: Fatal Error". Time. August 6, 1973. ^ "Israel Institute for Intelligence and Special Tasks (Mossad)". ^ "Swiss Courts Gives Israeli Spy Suspended Sentence". Jewish virtual library. July 10, 2000. Retrieved October 23, 2010. ^ "UN confirms Mossad kidnaps Gaza's chief power plant engineer, Dirar Abu Seesi, from Ukraine, suspects Ukrainian help". WikiLeaks Central. March 10, 2011. Retrieved March 11, 2011. ^ a b Bergman, Ronen (25 January 2012). "Will Israel Attack Iran?". The New York Times. Retrieved 2 March 2012. ^ SAVAK, Library of Congress Country Studies. Retrieved July 3, 2008. ^ Linzer, Dafna. "Former Iranian Defense Official Talks to Western Intelligence", The Washington Post, March 8, 2007. Retrieved March 8, 2007. ^ Mahnaimi, Uzi. "Defector spied on Iran for years", The Sunday Times, March 11, 2007. Retrieved March 11, 2007. ^ Edward Yeranian (January 11, 2011). "'Israeli Plot Against Nuclear Scientists'". VOA. Retrieved December 4, 2011. ^ Daniel Klaidman, Eli Lake and Dan Ephron (February 13, 2012). "Obama's Dangerous Game With Iran". Newsweek Magazine. Retrieved March 3, 2012. ^ McGeough, Paul (2009) Kill Khalid - The Failed Mossad Assassination of Khalid Mishal and the Rise of Hamas. Quartet Books. ISBN 978-0-7043-7157-6. Pages 126,127. ^ McGeough, Paul (2009) Kill Khalid - The Failed Mossad Assassination of Khalid Mishal and the Rise of Hamas. Quartet Books. ISBN 978-0-7043-7157-6. Page 184. ^ Guerin, Orla. "Arafat: On borrowed time", BBC News, June 29, 2002. Retrieved October 27, 2006. ^ Life and Death of a Terrorist, New York Times, July 10, 1983. ^ Shalev, Noam 'The hunt for Black September', BBC News Online, January 26, 2006. Retrieved March 14, 2006. ^ Barbara Harlow (Winter–Spring 1986). "Return to Haifa: "Opening the Borders" in Palestinian Literature". Social Text. No. 13/14: 3–23. ^ Blanford, Nicholas (June 15, 2006). "Lebanon exposes deadly Israeli spy ring". The Times (London). Retrieved August 14, 2006. ^ "Beirut blast kills Hezbollah fighter". BBC News. August 2, 2003. Retrieved June 9, 2013. ^ "Beirut bomb kills Hezbollah man". BBC News. July 19, 2004. Retrieved April 21, 2011. ^ Mrque, Baseem (May 26, 2006). "Islamic Jihad Leader Killed in Lebanon". The Washington Post (Washington). Retrieved January 22, 2010. ^ "Lebanon arrests another 2 over spying for Israel". Ya Libnan. June 28, 2010. Retrieved October 23, 2010. ^ "Lebanon: Israeli spying cell busted". Xinhua. June 13, 2006. Retrieved April 21, 2011. ^ Our Man in Damascus, 1969. ^ Mahnaimi, Uzi; Jaber, Hala; Swain, Jon (February 17, 2008). "Israel kills terror chief with headrest bomb". The Sunday Times (London). Retrieved February 16, 2008. ^ Katz, Yaakov (January 31, 2010). "Analysis: Another blow to the ‘axis of evil’". ^ Issacharoff, Avi (February 2, 2010). "Who killed Mahmoud al-Mabhouh? / Many wanted Hamas man dead". ^ Melman, Yossi (February 11, 2010). "10 agents including 3 women, took part in Dubai Hamas assassination" Haaretz. Retrieved February 11, 2010. ^ "Dubai suspects had five fake Irish passports". ^ "Man in photo on Hamas leader hit squad passport not my son, says mum". ^ "Israel Intelligence and covert operations: Chronology (Timeline)1948 - 1955". Zionism-israel. Retrieved December 4, 2011. ^ "Mossad took photos, Entebbe Operation was on its way.". ^ "Israel marks 30th anniversary of Entebbe." Associated Press in USA Today. July 5, 2006. ^ "Israeli government apologises to New Zealand". ^ Hallel, Amir (October 2, 2004). "At home with the Mossad men". Since the episode "Kill Ari (Part 1)", Mossad has played an instrumental part in the American show NCIS. Mossad's presence includes one of the main characters, Agent Ziva David, who is a former Mossad Agent. She originally filled the position of Mossad liaison to NCIS, until the end of Season 7, when she became a full-time NCIS agent. Her father, Eli David, was the director of Mossad, until the Season 10 episode Shabbat Shalom, when he was killed. Many other characters have been included in the show from Mossad, including Michael Rivkin and Ari Haswari. Some episodes of the show have taken place in Israel. In July 2004, New Zealand imposed diplomatic sanctions on Israel over an incident in which two Australian based Israelis, Uriel Kelman and Eli Cara, who were allegedly working for Mossad, attempted to fraudulently obtain New Zealand passports by claiming the identity of a severely disabled man. Israeli Foreign Minister Silvan Shalom later apologized to New Zealand for their actions. New Zealand cancelled several other passports believed to have been obtained by Israeli agents. Both Kelman and Cara served half of their six-month sentences and, upon release, were deported to Israel. Two others, an Israeli, Ze'ev Barkan, and a New Zealander, David Reznick, are believed to have been the third and fourth men involved in the passport affair but they both managed to leave New Zealand before being apprehended. Mossad may have been involved in the 2004 explosion of Ryongchon, where several Syrian nuclear scientists working on the Syrian and Iranian nuclear-weapons programs were killed and a train carrying fissionable material was destroyed. In a September 2003 news article, it was alleged by Rediff News that General Pervez Musharaf, the then-President of Pakistan, decided to establish a clandestine relationship between Inter-Services Intelligence (ISI) and Mossad via officers of the two services posted at their embassies in Washington, DC. After the 1994 AMIA bombing, the largest bombing in Argentine history, the Mossad began gathering intelligence for a raid by Israeli Special Forces on the Iranian embassy in Khartoum as retaliation. The operation was called off due to fears that another attack against worldwide Jewish communities might take place as revenge. The Mossad also assisted in Operation Moses, the evacuation of Ethiopian Jews to Israel from a famine-ridden region of Sudan in 1984, also maintaining a relationship with the Ethiopian government. In the late 1990s, after the Mossad was tipped off to the presence of two Iranian agents in Johannesburg on a mission to procure advanced weapons systems from Denel, a Mossad agent was deployed, and met up with a local Jewish contact. Posing as South African intelligence, they abducted the Iranians, drove them to a warehouse, and beat and intimidated them before forcing them to leave the country. For Operation Entebbe in 1976, Mossad provided intelligence regarding Entebbe International Airport and extensively interviewed hostages who had been released. The alleged killing of Salah Khalaf, head of intelligence of the PLO and second in command of Fatah behind Yasser Arafat, in 1991. The 1988 killing of Khalil al-Wazir (Abu Jihad), a founder of Fatah. In early 1991, two Mossad operatives infiltrated the Moroccan port of Casablanca and planted a tracking device on the freighter Al-Yarmouk, which was carrying a cargo of North Korean missiles bound for Syria. The ship was to be sunk by the Israeli Air Force, but the mission was later called off by Prime Minister Yitzhak Rabin. In September 1956, the Mossad established a secretive network in Morocco to smuggle Moroccan Jews to Israel after a ban on immigration to Israel was imposed. The decomposed body of Yuri Ivanov, the deputy head of the GRU, Russia's foreign military intelligence service, was found on a Turkish beach in early August 2010, amid allegations that Mossad may have played a role. He had disappeared while staying near Latakia, Syria. The alleged killing of Imad Mughniyah, a senior leader of Hezbollah complicit in the 1983 United States embassy bombing, with an exploding headrest in Damascus in 2008. On July 25, 2007, the al-Safir chemical weapons depot exploded, killing 15 Syrian personnel as well as 10 Iranian engineers. Syrian investigations blamed Israeli sabotage. The alleged killing of Muhammad Suleiman, head of Syria's nuclear program, in 2008. Suleiman was on a beach in Tartus and was killed by a sniper firing from a boat. The uncovering of a nuclear reactor being built in Syria as a result of surveillance by Mossad of Syrian officials working under the command of Muhammad Suleiman. As a result, the Syrian nuclear reactor was destroyed by Israeli Air Forces in September 2007 (see Operation Orchard), while Suleiman was assassinated by Israel a year later. The alleged killing of Izz El-Deen Sheikh Khalil, a senior member of the military wing of Hamas, in an automobile booby trap in September 2004 in Damascus. The alleged death of General Anatoly Kuntsevich, who from the late 1990s was suspected of aiding the Syrians in the manufacture of VX nerve-gas, in exchange for which he was paid huge amounts of money by the Syrian government. On April 3, 2002, Kuntsevich died mysteriously during a plane journey, amid allegations that Mossad was responsible. On 1 April 1978, 12 Syrian military and secret service personnel were killed by a sophisticated Israeli listening device planted on the main telephone cable between Damascus and Jordan. Eli Cohen infiltrated the highest echelons of the Syrian government, was a close friend of the Syrian President, and was considered for the post of Minister of Defense. He gave his handlers a complete plan of the Syrian defenses on the Golan Heights, the Syrian Armed Forces order of battle, and a complete list of the Syrian military's weapons inventory. He also ordered the planting of trees by every Syrian fortified position under the pretext of shading soldiers, but the trees actually served as targeting markers for the Israel Defense Forces. He was discovered by Syrian and Soviet intelligence, tried in secret, and executed publicly in 1965. His information played a crucial role during the Six Day War. The Mossad was suspected of establishing a large spy network in Lebanon, recruited from Druze, Christian, and Sunni Muslim communities, and officials in the Lebanese government, to spy on Hezbollah and its Iranian Revolutionary Guard advisors. Some have allegedly been active since the 1982 Lebanon War. In 2009, Lebanese Security Services supported by Hezbollah's intelligence unit, and working in collaboration with Syria, Iran, and possibly Russia, launched a major crackdown which resulted in the arrests of around 100 alleged spies "working for Israel". Previously, in 2006, the Lebanese army uncovered a network that allegedly assassinated several Lebanese and Palestinian leaders on behalf of Israeli intelligence agency Mossad. Allegedly killed Mahmoud al-Majzoub, a leader of Palestinian Islamic Jihad, in Sidon in 2006. Allegedly killed Ghaleb Awwali, a senior Hezbollah official, in Beirut in 2004. Allegedly killed Ali Hussein Saleh, member of Hezbollah, in Beirut in 2003. Allegedly killed Jihad Ahmed Jibril, the leader of the military wing of the PFLP-GC, in Beirut in 2002. Providing intelligence for the killing of Abbas al-Musawi, secretary general of Hezbollah, in Beirut in 1992. The killing of the Palestinian writer and leading PFLP member Ghassan Kanafani, also by a car bomb, in 1972. The targeted killing of Ali Hassan Salameh, the leader of Black September, on January 22, 1979 in Beirut by a car bomb. The sending of letter bombs to PFLP member Bassam Abu Sharif. Sharif was severely wounded, but survived. The provision of intelligence and operational assistance in the 1973 Operation Spring of Youth special forces raid on Beirut. In what is thought to have been a reprisal action for a Hamas suicide-bombing in Jerusalem on July 30, 1997 that killed 16 Israelis, Benjamin Netanyahu authorised an operation against Khaled Mashal, the Hamas representative in Jordan. On September 25, 1997, Mashal was injected in the ear with a toxin (thought to have been a derivative of the synthetic opiate Fentanyl called Levofentanyl). Jordanian authorities apprehended two Mossad agents posing as Canadian tourists and trapped a further six in the Israeli embassy. In exchange for their release, an Israeli physician had to fly to Amman and deliver an antidote for Mashal. The fallout from the failed killing eventually led to the release of Sheik Ahmed Yassin, the founder and spiritual leader of the Hamas movement, and scores of Hamas prisoners. Netanyahu flew into Amman on September 29 to apologize personally to King Hussein, but was met instead by the King's brother, Crown Prince Hassan. Operation Bramble Bush II – In the 1990s, the Mossad began scouting locations in Iraq where Saddam Hussein could be ambushed by Sayeret Matkal commandos inserted into Iraq from Jordan. The mission was called off due to Operation Desert Fox and the ongoing Israeli-Arab peace process. Operation Sphinx – Between 1978 and 1981, obtained highly sensitive information about Iraq's Osirak nuclear reactor by recruiting an Iraqi nuclear scientist in France. Assistance in the defection and rescuing of the family of Munir Redfa, an Iraqi pilot who defected and flew his MiG-21 to Israel in 1966: "Operation Diamond". Redfa's entire family was also successfully smuggled from Iraq to Israel. 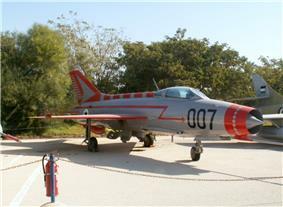 Previously unknown information about the MiG-21 was subsequently shared with the United States. In early February 2012, Mossad director Tamir Pardo met with U.S. national security officials in Washington, D.C. to sound them out on possible American reactions in the event Israel attacked Iran over the objections of the United States. The Mossad has been accused of assassinating Masoud Alimohammadi, Ardeshir Hosseinpour, Majid Shahriari, Darioush Rezaeinejad and Mostafa Ahmadi-Roshan; scientists involved in the Iranian nuclear program. It is also suspected of being behind the attempted assassination of Iranian nuclear scientist Fereydoon Abbasi. Meir Dagan, who served as Director of the Mossad from 2002 until 2009, while not taking credit for the assassinations, praised them in an interview with a journalist, saying "the removal of important brains" from the Iranian nuclear project had achieved so-called "white defections," frightening other Iranian nuclear scientists into requesting that they be transferred to civilian projects. Iranian Intelligence Minister Heydar Moslehi has accused Mossad of assassination plots and killings of Iranian physicists in 2010. Reports have noted that such information has not yet been evidently proven. Iranian state TV broadcast a stated confession from Majid Jamali-Fash, an Iranian man who claimed to have visited Israel to be trained by the Mossad. Le Figaro claimed that the Mossad was possibly behind a blast at the Iranian Revolutionary Guard's Imam Ali military base, on October 12, 2010. The explosion at the base killed 18 and injured 10 others. Among the dead was also general Hassan Tehrani Moghaddam, who served as the commander of the Revolutionary Guards’ missile program and was a crucial figure in building Iran’s long-range missile program. The base is believed to store long-range missiles, including the Shahab-3, and also has hangars. It is one of Iran's most secure military bases. A US intelligence official told The Washington Post that Israel orchestrated the defection of Iranian general Ali Reza Askari on February 7, 2007. This has been denied by Israeli spokesman Mark Regev. The Sunday Times reported that Askari had been a Mossad asset since 2003, and left only when his cover was about to be blown. Prior to the secret police and intelligence service was created under the guidance of United States and Israeli intelligence officers in 1957. After security relations between the United States and Iran grew more distant in the early 1960s which led the CIA training team to leave Iran, Mossad became increasingly active in Iran, "training SAVAK personnel and carrying out a broad variety of joint operations with SAVAK." Provision of intelligence for the cutting of communications between Port Said and Cairo in 1956. Mossad spy Wolfgang Lotz, holding West German citizenship, infiltrated Egypt in 1957, and gathered intelligence on Egyptian missile sites, military installations, and industries. He also composed a list of German rocket scientists working for the Egyptian government, and sent some of them letter bombs. After the East German head of state made a state visit to Egypt, the Egyptian government detained thirty West German citizens as a goodwill gesture. Lotz, assuming that he had been discovered, confessed to his cold war espionage activities. After a tense May 25, 1967 confrontation with CIA Tel Aviv station chief John Hadden, who warned that the United States would help defend Egypt if Israel launched a surprise attack, Mossad director Meir Amit flew to Washington, D.C. to meet with U.S. Defense Secretary Robert McNamara and reported back to the Israeli cabinet that the United States had given Israel "a flickering green light" to attack. Provision of intelligence on the Egyptian Air Force for Operation Focus, the opening air strike of the Six-Day War. Operation Bulmus 6 – Intelligence assistance in the Commando Assault on Green Island, Egypt during the War of Attrition. Operation Damocles – A campaign of assassination and intimidation against German rocket scientists employed by Egypt in building missiles. A report published on the Israeli military’s official website in February, 2014 said that Middle Eastern countries that cooperate with Israel (Mossad) are the Iran’s nuclear energy program. In February 2011, a Palestinian engineer, Dirar Abu Seesi, was allegedly pulled off a train by Mossad agents en route to the capital Kiev from Kharkiv. He had been planning to apply for Ukrainian citizenship, and reappeared in an Israeli jail only 3 weeks after the incident. The Mossad was involved in outreach to Refuseniks in the Soviet Union during the crackdown on Soviet Jews in the 50's, 60's, 70's, and 80's. Mossad helped establish contact with Refuseniks in the USSR, and helped them acquire Jewish religious items, banned by the Soviet government, in addition to passing communications into and out of the USSR. Many rabbinical students from Western countries travelled to the Soviet Union as part of this program in order to establish and maintain contact with refuseniks. In February 1998, five Mossad agents were caught wiretapping the home of a Hezbollah agent in a Bern suburb. Four agents were freed, but the fifth was tried, found guilty, sentenced to one year in prison, and following his release was banned from entering Switzerland for five years. In Switzerland the Israelis have an Embassy in Bern and a Consulate-General in Zurich which provide cover for Collection Department officers involved in unilateral operations. These Israeli diplomatic installations also maintain close relations with the Swiss on a local level in regard to overt functions such as physical security for Israeli official and commercial installations in the country and the protection of staff members and visiting Israelis. There is also close collaboration between the Israelis and Swiss on scientific and technical matters pertaining to intelligence and security operations. Swiss officials have made frequent trips to Israel. There is a continual flow of Israelis to and through Switzerland. These visits, however, are usually arranged through the Political Action and Liaison regional controller at the Embassy in Paris directly with the Swiss and not through the officials in the Israeli Embassy in Bern, although the latter are kept informed. Mossad assisted the UK Intelligence organisation MI5 following the 7/7 bombings in London. According to the 2007 edition of a book about the Mossad titled Gideon’s Spies, shortly after the 7/7 London underground bombings, MI5 gathered evidence that a senior al-Qaeda operative known only by the alias Mustafa travelled in and out of Britain shortly before the 7/7 bombings. For months, the real identity of Mustafa remained unknown, but in early October 2005, Mossad told MI5 that this person was, in fact, Azhari Husin, a bomb-making expert with Jemaah Islamiyah, the main al-Qaeda affiliate in Southeast Asia. Husin studied in Britain and reports claim that he met the main 7/7 bomber, Mohammad Sidique Khan, in late 2001 in a militant training camp in the Philippines (see Late 2001). Meir Dagan, the then head of Mossad, apparently also told MI5 that Husin helped plan and recruit volunteers for the bombings. Mossad claimed that Husin may have been in London at the time of the bombings, and then fled to al-Qaeda’s principal haven in the tribal area of Pakistan, where he sometimes hid after bombings. Husin was killed in a shootout in Indonesia in November 2005. Later official British government reports about the 7/7 bombings did not mention Husin. On July 21, 1973, Ahmed Bouchiki, a Moroccan waiter in Lillehammer, Norway, was killed by Mossad agents. He had been mistaken for Ali Hassan Salameh, one of the leaders of Black September, the Palestinian group responsible for the Munich massacre, who had been given shelter in Norway. The Mossad agents had used fake Canadian passports, which angered the Canadian government. Six Mossad agents were arrested, and the incident became known as the Lillehammer affair. Israel subsequently paid compensation to Bouchiki's family. The killing of Fathi Shiqaqi. Shiqaqi, a leader of the Palestinian Islamic Jihad, was shot several times in the head in 1995 in front of the Diplomat Hotel in Sliema, Malta. In 1986, Mossad used an undercover agent to lure nuclear whistleblower Mordechai Vanunu from the United Kingdom to Italy in a honey trap style operation where he was abducted and shipped to Israel where he was tried and found guilty of treason because of his role in exposing Israel's nuclear programme. The killing of Wael Zwaiter, thought to be a member of Black September. The assassination of Mahmoud Al-Mabhouh - a senior Hamas military leader - in Dubai, 2010, was suspected to be the work of Mossad, and there were eight Irish passports (six of which were used) fraudulently obtained by the Israeli embassy in Dublin, Ireland for use by apparent Mossad agents in the operation. The Irish government was angered over the use of Irish passports, summoned the Israeli ambassador and expelled the Israeli diplomat deemed responsible from Dublin, following an investigation. One of the passports was registered to a residence on Pembroke Road, Ballsbridge, on the same road as the Israeli embassy. The house was empty when later searched, but there was suspicion it had been used as a Mossad safe house in the past. Mossad is reported to have a working relationship with Ireland's national intelligence agency, the military Directorate of Intelligence (G2), and has previously tipped the Irish authorities off about arms shipments from the Middle East to Ireland for use by dissident republican militants, resulting in their interception and arrests. Mossad is also believed to cooperate with the British government in combating IRA terrorism, including involvement in Operation Flavius, 1988. The killing of Zaiad Muchasi, Fatah representative to Cyprus, by an explosion in his Athens hotel room in 1973. Mossad is alleged to have been involved in industrial espionage in Germany. In the late 1990s, the head of the BfV reportedly warned his department chiefs that Mossad remained a prime threat in stealing the country's latest computer secrets. The Mossad discovered that Hezbollah had recruited a German national named Steven Smyrek, and that he was travelling to Israel. In an operation conducted by the Mossad, the CIA, the German Internal Security agency Bundesamt für Verfassungsschutz (BfV), and the Israeli Internal Security agency Shin Bet, Smyrek was kept under constant surveillance, and arrested as soon as he landed in Israel. The alleged targeted killing of Dr Wadie Haddad, using poisoned chocolate. Haddad died on 28 March 1978, in the German Democratic Republic supposedly from leukemia. According to the book Striking Back, published by Aharon Klein in 2006, Haddad was eliminated by the Mossad, which had sent the chocolate-loving Haddad Belgian chocolates coated with a slow-acting and undetectable poison which caused him to die severals months later. "It took him a few long months to die", Klein said in the book. The sending of letter bombs during the Operation Wrath of God campaign. Some of these attacks were not fatal. Their purpose might not have been to kill the receiver. Some of the more famous examples of the Mossad letter bombs were those sent to Nazi war-criminal Alois Brunner. Operation Plumbat (1968) was an operation by Lekem-Mossad to further Israel's nuclear program. The German freighter "Scheersberg A" disappeared on its way from Antwerp to Genoa along with its cargo of 200 tons of yellowcake, after supposedly being transferred to an Israeli ship. The Mossad allegedly assisted Morocco's domestic security service in the disappearance of dissident politician Mehdi Ben Barka in 1965.